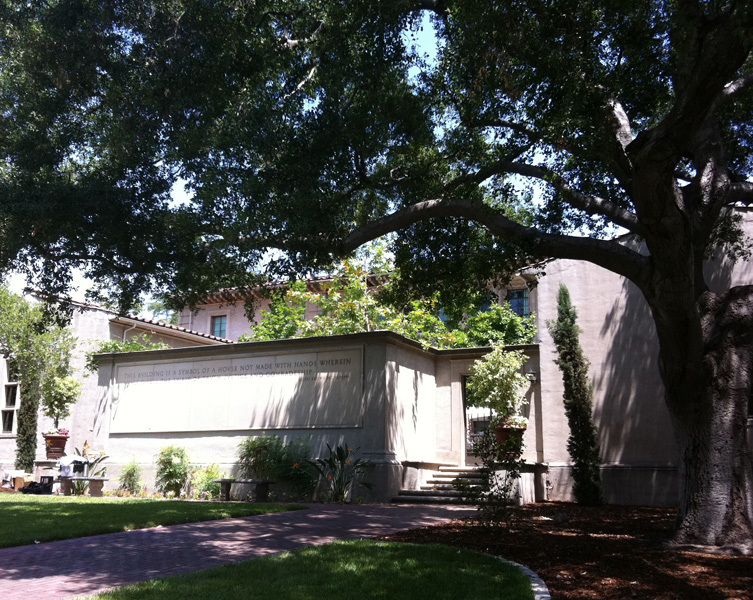 Academic | Jill Thayer, Ph.D.
Harper Hall on Claremont Graduate University campus. Photo © 2011 Jill Thayer. Jill Thayer and Prof. 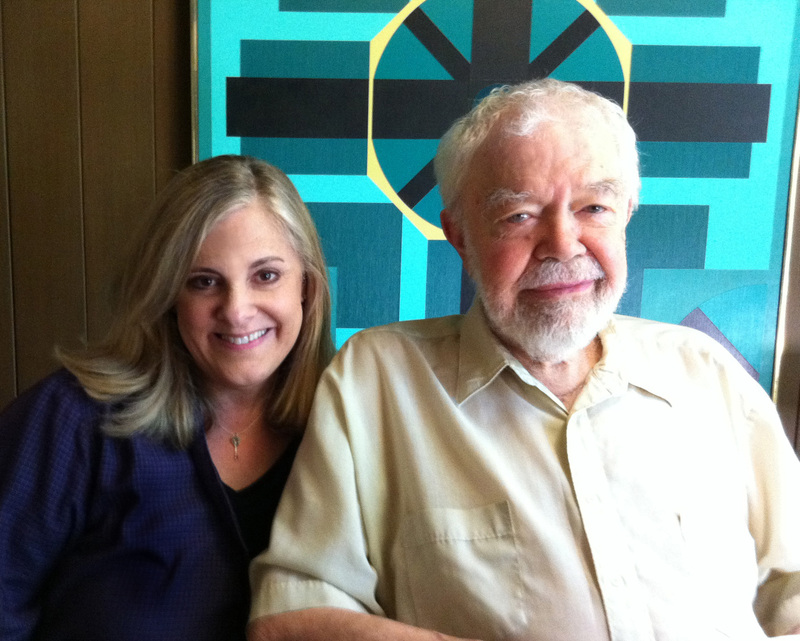 Emeritus Karl Benjamin during an interview with the artist for CGU Oral History Artist Series (c. 2011). In 2011, Jill Thayer compiled “In Their Own Words: Oral Histories of CGU Art,” a post-doctoral project for CGU School of Arts and Humanities. The interviews documented the careers of CGU Art alumni, Professors, and Professors Emeritus Karl Benjamin, Roland Reiss, Michael Brewster, Connie Zehr, Mowry Baden, Ted Kerzie, and John Frame and will be included in the CGU Oral History Library, Claremont Colleges Digital Library, and Archives of American Art at The Smithsonian Institution. Photography of the artists by doctoral colleague January Parkos Arnall are included in the narratives. In Fall 2012, an exhibition at CGU Art East and Peggy Phelps Galleries featured over 30 hours of audio recordings and 900 pages of transcriptions including artwork of the narrators. The multi-media installation marked Thayer’s curatorial debut exploring archival and cultural contexts. 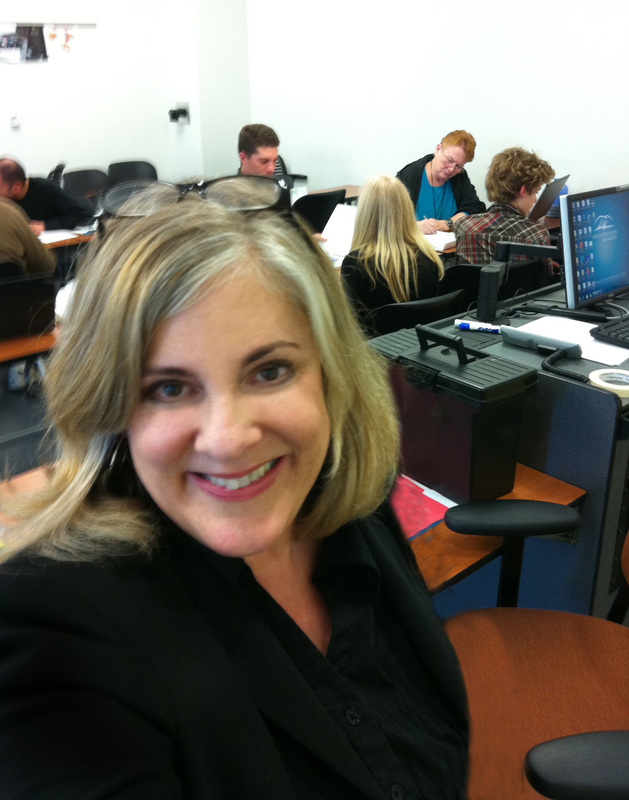 Dr. Thayer leading a design seminar at CSU San Marcos (c. 2010). Dr. Thayer is adjunct faculty at National University School of Business and Management, La Jolla; Strategic Communications MA, Department of Arts and Humanities in the College of Letters and Sciences, San Diego; and School of Professional Practice, Digital Journalism, San Diego teaching online courses in: Business Knowledge Management Strategies, Global Marketing, Services Marketing, Integrated Marketing Communications, Marketing Management, Public Relations, and Content Development. As Adjunct Faculty in Art History at Santa Monica College, she develops online curriculum and teaches Art Appreciation: Global Visual Culture, and lectures professional design seminars through universities nationally in the Certificate in Visual Communication and Web Design programs. She offers online courses at St. Thomas University, Miami in the Arts Marketing program for the Institute for Communications, Entertainment and Media School of Leadership Studies. She is part-time instructor of digital art and Illustrator at Cuesta College, San Luis Obispo. Dr. Thayer mentors artists and students in professional practice and works in tandem with academic and art institutions to develop cultural awareness and education in the Arts.